Listed below are a few suggestions on local activities that help you when planning your holiday at 9 Timber Hill. The list is far from exhaustive ! Sailing, near 9 Timber Hill in Pembrokeshire. The Pembrokeshire coastal path is very close with 168 miles of coastal path running from Cardigan to Carmarthenshire. Boat and Dinghy hire is available around the area including Dale. Water Skiing and Water Sports are very popular with centres all around Pembrokeshire. Local diving clubs can organise diving trips Holiday membership is available at many of the local yacht clubs for nominal fees. Regattas are held at various points around the coast, with Dale being a popular local centre. Sandy beaches ideal for swimming and surfing at Broad Haven, Druidstone, Newgale and Marloes Sands, although Newgale is probably the best for surf. Fishing is widely available throughout the area. There is also a small but well stocked fishing lake on the site. 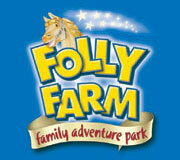 Pony and horse riding is available from several local stables. Haverfordwest golf course (9 hole) is close at hand where equipment is available for hire. For the more adventurous, there is ParaGliding nearby and Gliding further north in mid-wales. Tuition is available. The Internal Fire Museum just north of Cardigan has an brilliant collection of working engines, including the oldest Diesel engine in the UK. Indoor swimming pool and leisure centre at St Thomas Green, Haverfordwest. The Palace Cinema in Haverfordwest is very well worth a visit; not a modern multiplex but a traditional cinema.